Dave Snyder oversees the creative teams at award-winning design and innovation company, Firstborn. He leads the ideation and production of digital products, platforms and experiences for brands including Adidas, Mountain Dew, Nature’s Bounty Co. and Jet.com—ensuring all work meets the highest strategic, aesthetic and functional standards. His journey to Creative Director was by no means a straight path. It was 2000—the big dotbomb—and the economy was in the toilet. Snyder landed a gig as a junior designer at a small toy retailer called Brainplay.com where he first learned how to code, resize graphics, do design layout and everything in between. Coming from a business background, it wasn’t his first choice, but he was happy to have a job. In 4 years, he worked his way up to Creative Director at the "toy shop," which would later become the famed KBToys.com (most recently eToys.com). In 2004, Snyder joined award-winning Denver-based digital design shop FL2 as the fourth employee and spent the next 5 years growing the company from 4 to 25 employees. 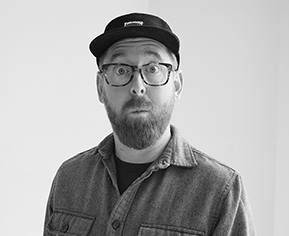 He had many responsibilities across the agency and eventually led all creative direction for the likes of Porsche, Boa Technologies, Vision Streetwear, American Crew, Westin and Left Hand Brewing. On a whim one day in 2009, Snyder shot a direct message on Twitter to Firstborn, whose work he had always admired. The next thing he knew he was on a plane to New York to interview for an ACD position. His role quickly evolved, as did Firstborn itself. By 2011, at the time of Firstborn’s acquisition by Dentsu Aegis Network, Snyder joined the ranks of upper management as ECD. Snyder is largely credited with helping Firstborn transform from a digital production company into a direct-to-client digital agency. Instrumental in securing Firstborn’s first agency of record relationship with Pepsi’s SoBe, he steadily helped grow the AOR roster to include Mountain Dew, L'Oreal Luxe and Pepsi.